Ideal open layout, great natural lighting, finished basement, 3rd car parking space next to home, and tons of built-in storage space in garage. This 4 bedroom, 3.5 bath home is a must see! Located in Daybreak’s highly desired North Shore, this home is within walking distance to multiple parks, pools, Daybreak lake, walking/biking trails and more. This home is situated in what we consider the best neighborhood in Daybreak! 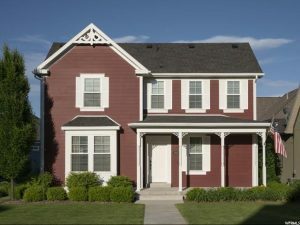 With surrounding neighbors being a good mix of young couples, families, and empty nesters, it will appeal to any buyer.